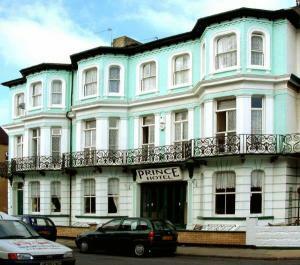 Just 75 metres from the beach and 600 metres from Great Yarmouth?s town centre, this well-established hotel offers comfortable en suite accommodation and great value for money. This comfortable hotel has a great location within walking distance of all of Great Yarmouth?s attractions, facilities and amenities. It boasts comfortable rooms, good food and a licensed bar with a large function room. Entertainment is provided most nights in the cellar bar, which has a small dance floor. Parking is available at an additional cost. All of the well-appointed en suite rooms have colour televisions and tea/coffee making facilities. A stair lift is provided to the first floor rooms; however, there are some ground floor rooms for those who prefer them. A generous full cooked English breakfast is included in all of the quoted room rates. Great Yarmouth has attracted visitors for 900 years but the seaside has been the main attraction for only 200, so behind the glamour, glitter and bright lights that make Great Yarmouth one of the UK's most popular seaside resorts is a town steeped in history. Great Yarmouth was one of the wealthiest towns in Britain because of its prosperous herring industry and in 1724 Daniel Defoesaid Great Yarmouth had "the finest quay in England, if notin Europe". The Town Wall built between 1261 and 1400 ranks amongst the best in the country as most of the wall and towers still survive. 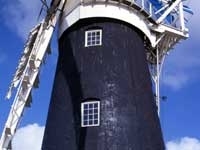 Great Yarmouth has eight museums. A community college in the community and for the community with a student body as diverse as the community it serves. Our highly qualified and skilled staff are dedicated to guiding each and every student to achieve their full potential, whatever level they started at, whatever age, background, nationality or ability. Our staff work closely with employers to ensure they are teaching the right skills with the greatest relevance to the modern workplace. One of Norfolks best and largest extant marsh mills, built to grind a constituent of cement and, in use until 1951, finally pumping water to drain surrounding marshland.